All Sports United is a non-profit corporation with the core mission of educating and empowering professional athletes and sports industry professionals to engage in efficient philanthropic work. 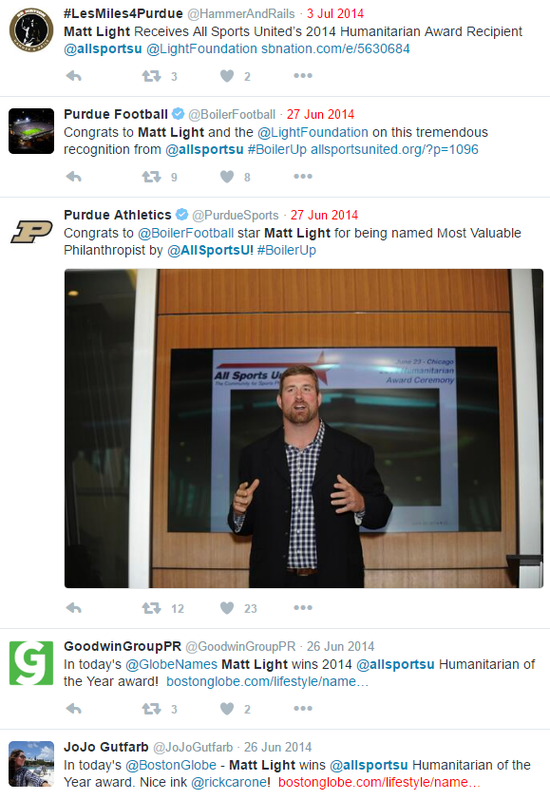 It provides a platform for recognizing outstanding philanthropy work through its annual Humanitarian Award. ASU needed to highlight its 2014 Humanitarian Award finalists, as voted on by the general public. Interview the finalists and write feature articles on each. Write social media posts to highlight the finalists. Create a photo album on Facebook with finalist pictures and brief bios. Write a press release announcing the winner. 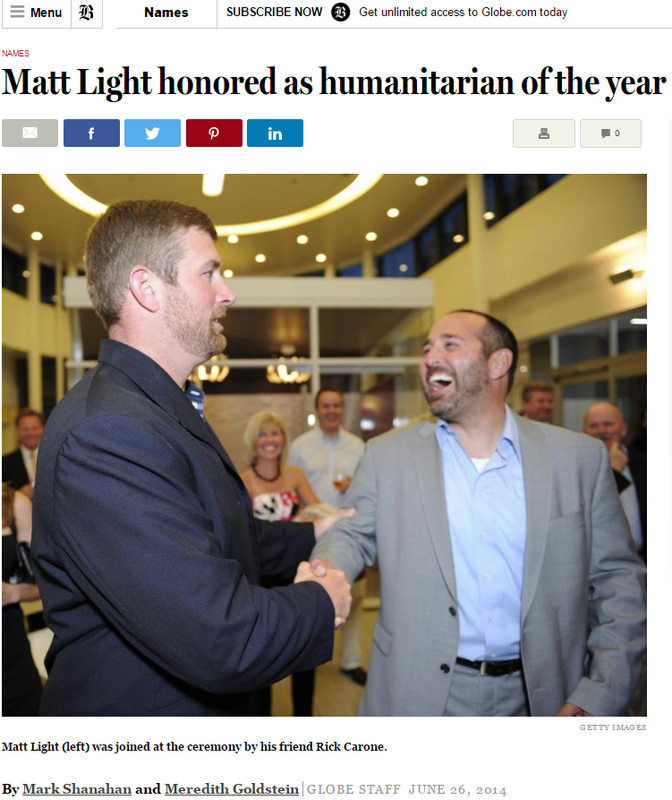 Notify relevant press about the winner, former New England Patriots tackle Matt Light. Coverage from The Boston Globe, Twitter shoutouts and linkbacks from Purdue Athletics, Purdue Football, SB Nation's Purdue account, and others. Click here to view press release and articles. Event invitations. participant outreach and post-event news article for a philanthropy workshop held at Stanford University in August 2014. Blog articles to feature organization partners. Social media posting and event setup to promo Gaming to Give, a charity fundraiser held during Super Bowl week at Talking Stick in Scottsdale, Ariz.